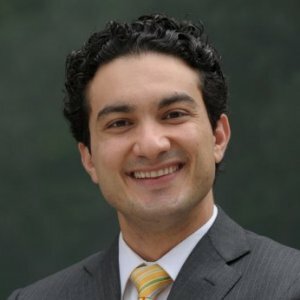 Amrou Awaysheh, assistant professor of operations management, focuses on sustainable operations in his research, considering the link between sustainability activities and firm performance. Awaysheh received his PhD in business administration from the Richard Ivey School of Business at the University of Western Ontario. Upon graduation, Awaysheh went to work at the IE Business School in Madrid, Spain. There, he taught in the full-time MBA program as a professor of operations management, and he also served as the International Consulting Project Faculty Director. In that role, Awaysheh trained and mentored students as they provided consulting services to companies. Awaysheh has been at the Kelley School of Business on the IUPUI campus since 2014. Awaysheh was nominated as Professor of the Year for The Economist Intelligence Unit in 2012 and was named Professor of the Week by the Financial Times in 2011. We assess the current state of empirical research in operations and supply chain management (OSM), using Dickens’ contrast between the best of times and the worst of times as a frame. Firms are increasingly being pressured by the public, regulators and customers to ensure that their suppliers behave in a socially and ecologically sound manner. Yet, the complexity and risks embedded in many supply chains makes this challenging, with monitoring practices offering one means to attenuate supply sustainability risk. Drawing on agency theory, this research examines the relationship between sustainability and operations risk, supplier sustainability monitoring practices, supply improvement initiatives and firm performance. Social entrepreneurship in business education is growing in importance as a way to teach ethics and instill high ethical standards in individuals. One effective way to integrate social entrepreneurship is through experiential learning; where the participant is actively involved in processing the knowledge and developing skills, while being involved in the learning situation. Firms are increasingly being pressured by the public, regulators and customers to ensure that their suppliers behave in a socially and ecologically sound manner. Yet, the complexity and risks embedded in many supply chains makes this challenging, with monitoring practices offering one means to attenuate supply sustainability risk. Drawing on agency theory, this research uses data from a survey and archival sources from a sample of large U.S. firms to empirically examine the relationship between sustainability and operations risk, supplier sustainability monitoring practices, supply improvement initiatives and firm performance. Findings indicate that higher levels of perceived sustainability risk are related to greater monitoring of supplier sustainability practices. Perceptions of higher operations risk are indirectly related to greater social monitoring through investment in supply improvement initiatives. Monitoring of supplier sustainability practices is also found to have a positive effect on firm performance. Findings provide important implications for supply chain executives and opportunities for future research are also identified. This study examines stock market reactions to credible information that endorses firms’ corporate social responsibility (CSR). Results from an event study around announcements of addition to and deletion from a socially responsible stock index demonstrate that the market responds positively (negatively) to positive (negative) CSR signals and that positive CSR signals produces a lower stock price change than negative signals. Besides, this study examines whether market reactions vary according to the dimension of social reputation affected by CSR signals, with the degree of information asymmetry between the firm and the market, and over time. Results show that CSR signals have stronger effects on stock price when they relate to certain dimensions of social reputation, when there is more information asymmetry, and in more recent years. Socially responsible practices of firms have evolved into an important area of research in operations management; however, it remains challenging to identify specific scales that capture multiple dimensions of such social practices. In this exploratory study, we use stakeholder theory to develop new multi-item measurement scales linked to multiple groups (i.e., internal, supplier, customer, and community stakeholders). Furthermore, we empirically test a higher order multidimensional construct that collectively assesses the socially responsible practices of a firm. Using these stakeholder-derived constructs as taxons in a cluster analysis, we identify important patterns in the way that multiple groups of stakeholders are engaged. Finally, we demonstrate that the set of social practices are complementary and concentrating on one group can yield spillover effects to other specific stakeholder groups. The recent completion of a major survey of 249 large North American supply organizations in 2011 permits a longitudinal perspective on supply roles and responsibilities over a 24 year period. The latest survey complements three earlier CAPS studies in 1987, 1995 and 2003, thereby providing a valuable opportunity to examine trends and changes over time. Data was collected from 112 firms that responded in 2003 and 2011, which included 53 firms that responded in 1995, 2003 and 2011 and 24 firms that responded to all four surveys. Major areas of investigation included supply organizational structure, purchase category and supply chain responsibilities, supply involvement in major corporate activities, teams, and CPO reporting line, title and background. Findings indicate that the pace of organizational change remains high, which can represent significant challenges for supply executives. Firms are increasingly being pushed by the public, regulators and their customers to ensure that their suppliers behave in a socially and ecologically sound manner. Yet, the complexity and risks embedded in many supply chains make this challenging, with monitoring practices offering one means to attenuate some of the supply risk. Using data from a survey and archival sources for a sample of large North American firms, we empirically examine the relationship between global sourcing, supplier’s social practices, use of collaborative teams and firm performance. Findings suggest that global sourcing, although resulting in higher firm performance, does lead to higher monitoring efforts. Such monitoring efforts are shown to lead to collaborative efforts among internal and supplier teams, which also leads to better performance. into the limelight. What used to be hidden behind long distances and language differences is more visible (Lee, 2002; Van Der Zee & Van Der Vorst, 2005). As a result, consumers, governments, and nongovernmental organizations (NGOs) are demanding that companies be held more accountable for what happens. Concerns include the use of sweatshop labor, the provision of safe working conditions, and the payment of a living wage to their employees. In response, a growing number of firms are exploring how to identify, assess, and monitor supplier-related social issues and practices.